The 2013 holiday season is wrapping up, with less than 10 shopping days left until Christmas day. 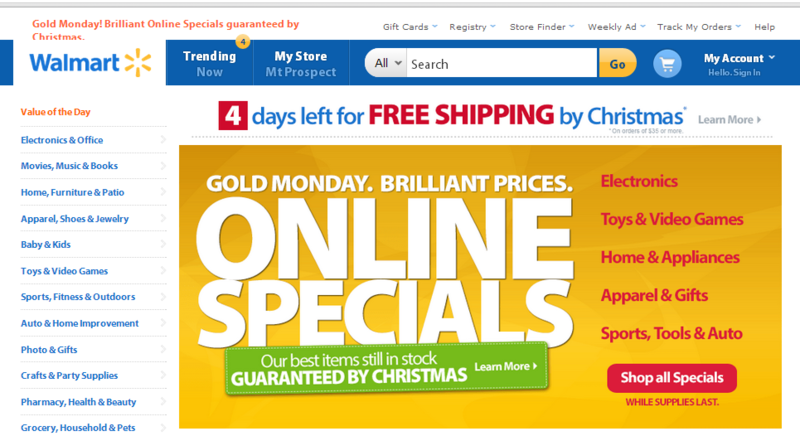 It is nearly impossible to overlook Walmart’s shipping announcement, as the retailer displays it prominently in a banner that follows shoppers throughout the site. 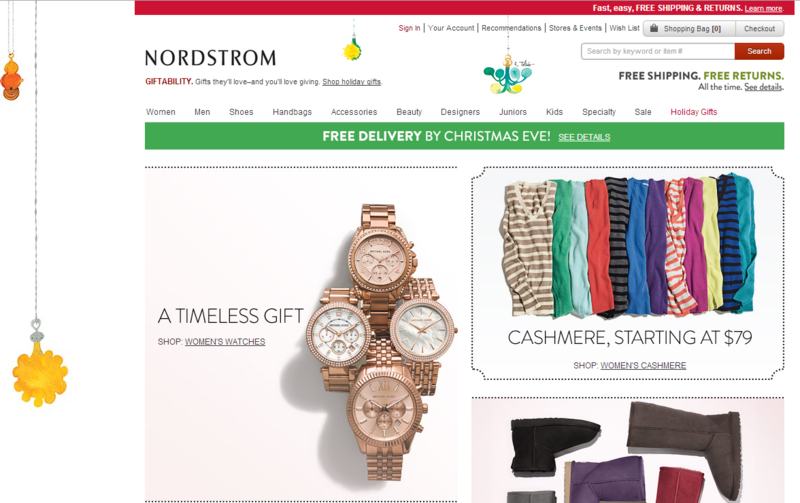 Nordstrom also uses a banner to highlight its last-minute shipping offer, but the retailer’s promotion is actually quite vague as it only provides the message “free delivery by Christmas Eve." However, if consumers take the extra step and click to “see details” from the banner, they are directed to additional holiday shipping information. 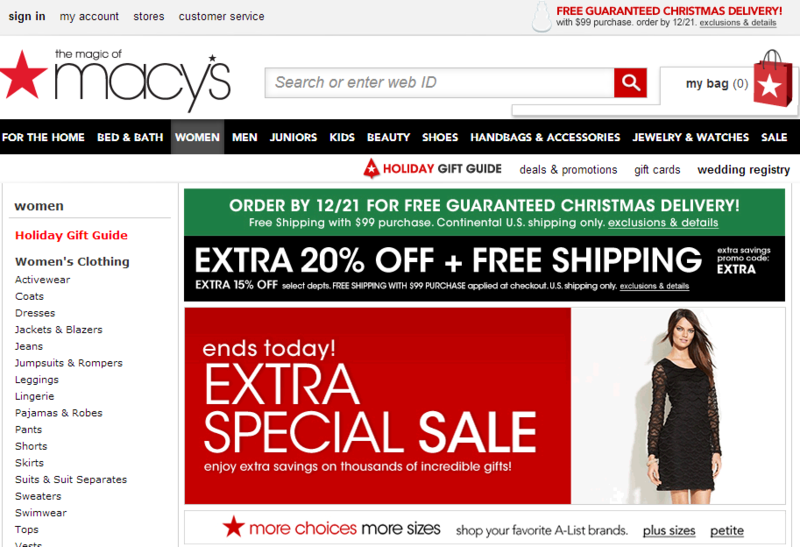 Like other retailers, Macy’s leverages a banner to announce its "under-the-wire" holiday shipping information. 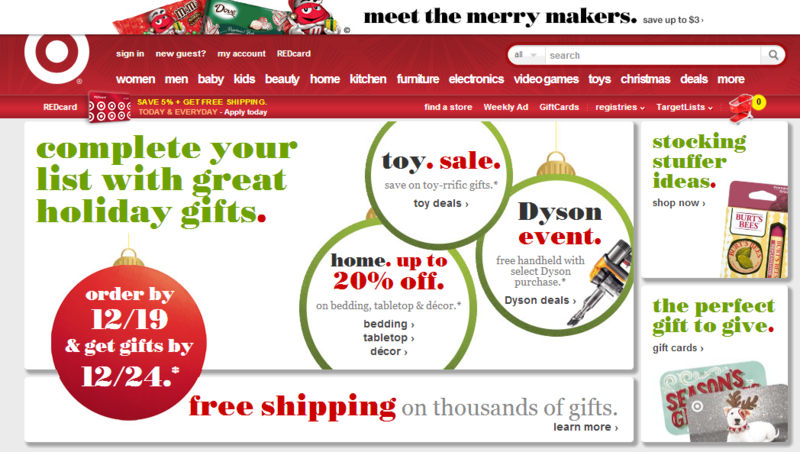 To make sure visitors don’t overlook the announcement, the company also uses the space at the top of its site to promote its “guaranteed” delivery offer. Toys “R” Us puts its shipping announcement on the virtual back burner, as the company only mentions expedited shipping in the last slide of its hero image slideshow that is displayed on the retailer’s homepage. 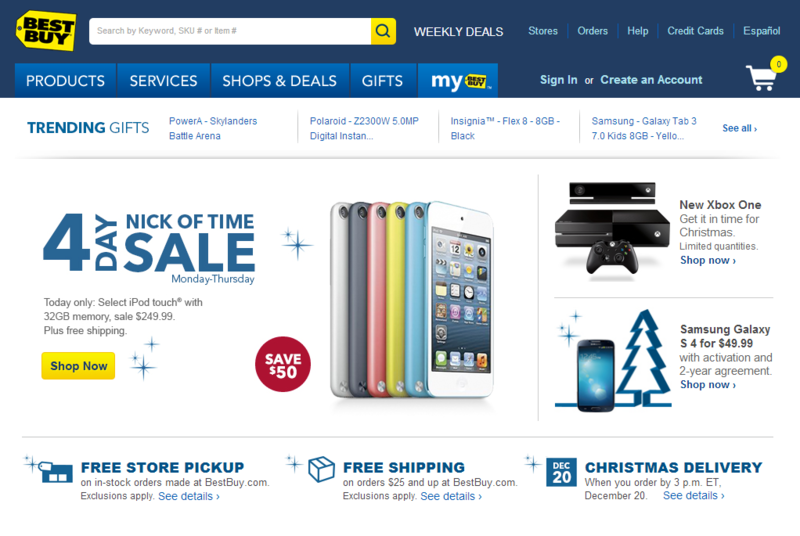 Best Buy not only highlights last-minute shipping timeframe, but also its free in-store pickup promotion. This allows online shoppers to choose the best and most efficient way to receive their packages. Amazon highlights its Christmas delivery announcement near the login area of its site, which is in the upper right corner. The announcement is displayed next to a snowflake to make it easier for consumers to spot. 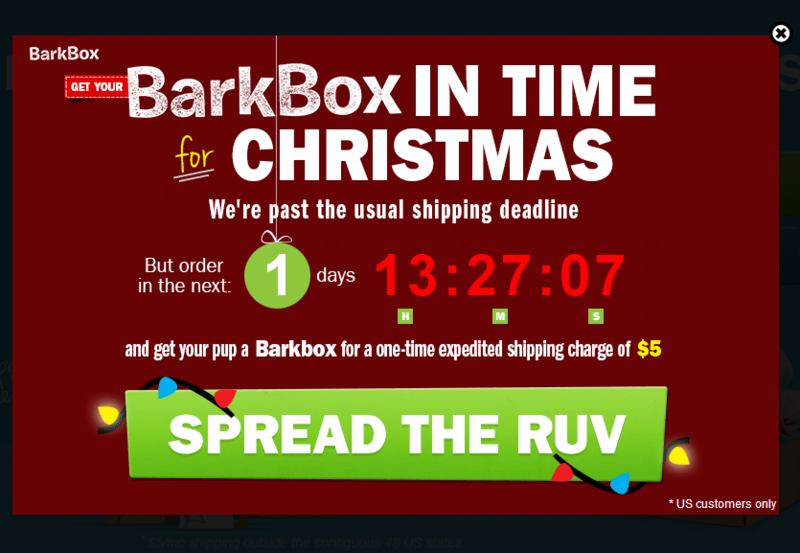 Although BarkBox is past its holiday shipping deadline already, the company is offering an expedited shipping promotion for a limited time. To create a sense of urgency, the company uses a pop-up window with a countdown that is displayed before visitors are taken to the main site. 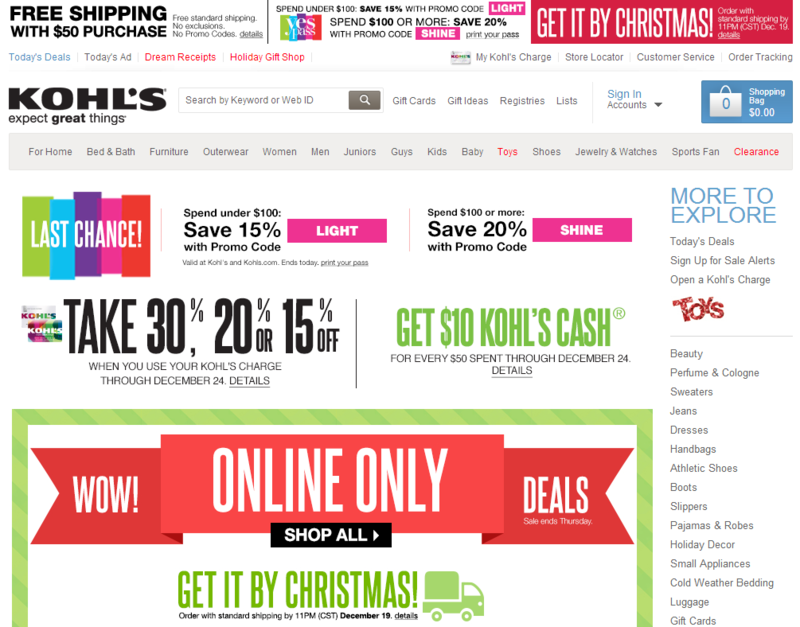 Kohl’s uses a green and red design to put an emphasis on its last-minute shipping promotion. The promotion is also featured above the fold so that site visitors know exactly how much time they have to place a purchase before navigating the rest of the site.